DMRC Notification for Multiple Post Vacancies - Get here Complete official notification eligibility criteria, age limit etc. 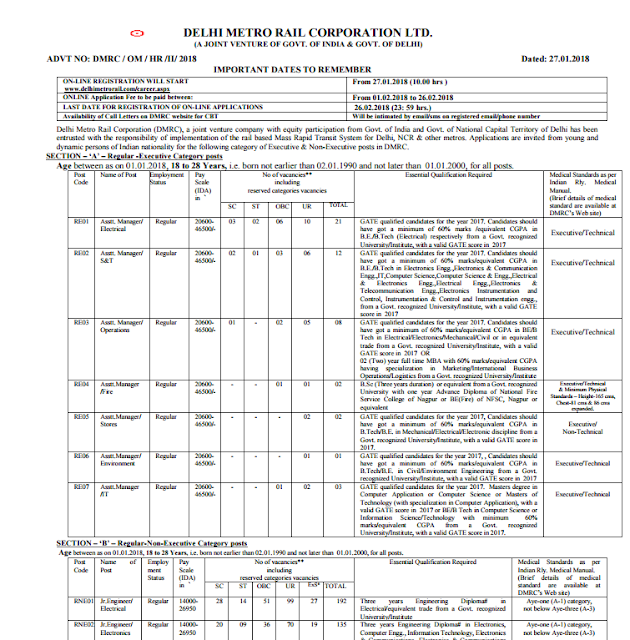 Delhi Metro has Released Notification for Vacancies for multiple post for Regular Executive, Non Executive, Check below details and Official Notification PDF Released by DMRC. Stay Tuned for more updates on DMRC & Other Jobs Notification and Exam analysis.